The Commonwealth of Virginia will observe Columbus Day this year on Monday, Oct 8th. As all school children know, the Italian adventurer Christopher Columbus ‘discovered’ America in 1492, although he never actually set foot on the continental U.S. The legal holiday wasn’t made official until 1937 when it was finally established as a result of years of lobbying by Roman Catholic Italian Americans. But there is a growing movement across the country to commemorate an alternative event on that date. Indigenous Peoples’ Day celebrates the history and primal cultures of specifically Native Americans, but also the vanishing ancient cultures of indigenous peoples all over the world. Dozens of cities and several states have voted to adopt Indigenous Peoples’ Day in place of observing Columbus Day on the second Monday in October. The states include Minnesota, Alaska, South Dakota, Oregon, and Vermont. Of course the designation of Indigenous Peoples’ Day can’t on its own fully address the erasure of Native American history from public education. But it can help bring a focus to our country’s hidden history in schools, where many textbooks have omitted Native Americans or sanitized the genocide and cruelty afflicted on an estimated 10 million people by European colonizers. And now the same country that stole their indigenous lands wants to build a wall along the southern border to keep the descendants of native peoples from freely migrating throughout their ancestral lands. Is there no justice in this world? There was a time when all of us were indigenous peoples who lived intimately with nature on what was essentially a very different planet than the one we inhabit now. There were countless numbers of land and sea animals and a vast diversity of plant species. Man was self-sufficient and used critical knowledge and skills passed down from one generation to the next through living oral traditions. Today we are all consumers – totally dependent upon others for our very survival. Mankind has proliferated and taken over all the habitats of the remaining large terrestrial mammals. Our technological, man-made world is so disconnected from the biological web of life that most urban-dwellers no longer experience nature. Our animal bodies have been abstracted and relocated in our minds. What appears real to us today is the digital world that we perceive on our numerous screens. Our collective image of the world is no longer grounded in a reality – but maintained by our beliefs, ideology, and denial. But many of us are awakening to our distant past through the teachings that older cultures have kept alive for us. These indigenous voices advocate nonviolent resistance in the defense of ‘Mother Earth’ and against needless exploitation by the fossil fuel industry and logging companies. Around the world indigenous groups lead grassroots struggles against corporate predatory practices that extract and pollute the remaining resources of the earth. The indigenous peoples of the world have a vast depth of botanical knowledge and ecological awareness. Homo sapiens evolved on the earth much later than the complex plant world containing pheromones and alkaloids. Our ancestors discovered the distinctive medicinal plants of the forest that brought healing. And it was the shamans that cultivated intimate relationships with these plants. When asked by western scientists how they received the vast plant knowledge that they have accumulated, the shamans claim that it was the plants that taught them. In the upcoming new documentary TAWAI: A Voice from The Forest, British explorer and filmmaker Bruce Parry, the creative force behind the BBC series, Tribe, returns ten years after having his first visit to the Penan peoples of Borneo. He learns that their tribal lands have been ravaged by deforestation, the development of palm oil plantations, and industrial oil exploitation. 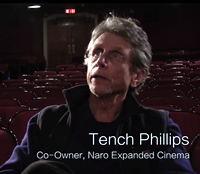 TAWAI will show in the ongoing series, ’New Non-Fiction Film’ on Wednesday, Oct 17 with discussion. The Penan people use the term ‘tawai’ to describe their deep connection to all of nature. They are possibly the last existing indigenous peoples still living as hunter gatherers. But they have been recently driven out of the forest and forced to settle into dwellings and an agricultural existence due to the exploitation of their tribal lands by unregulated industrial extraction. The Penan number about 10,000 but only about 200 of them still live a fully nomadic lifestyle. The province of Sarawak in Malaysian Borneo is subject to some of the highest rates of deforestation in the world, which is having a drastic impact on the Penans’ way of life as hunter-gathers. The Penan are one of the last remaining egalitarian societies in the world, without class or hierarchy and they are renowned for being one of the most peaceful societies on earth. Early human societies had similar egalitarian social structures that are still seen today in the Penan tribe and a few remaining indigenous peoples. The most important values of these societies are sharing, caring, and cooperation. These traits have remained at the core of our species and have allowed for our cultural adaptation and survival for most of our existence. Nomadic hunter-gathering is a way of life that all societies on earth are believed to have lived until about 12,000 years ago, when peoples in some parts of the world learned to herd animals and farm. As agriculture spread over the planet, hunter-gatherers were forced to assimilate or relocate. Most of the Penan are now settled in long houses built near the rivers, although many continue to hunt and gather food and medicines from the forest. 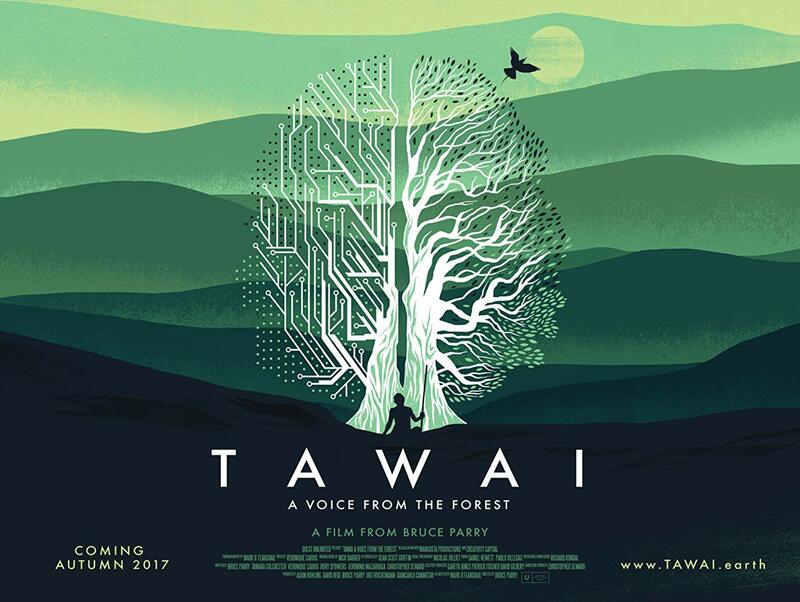 In Tawai, the filmmaker Bruce Parry interviews Jerome Lewis, an anthropologist who studies hunter-gatherer societies and egalitarian politics. His thesis is that as early humans migrated away from tropical regions, where food is available all year round, and into northern climates, surplus food needed to be stored for the winter. The shift from hunter-gathering to farming precipitated a decline in social equality, and food production became a means of accumulating wealth and power. The physical and psychological changes that accompanied mankind’s shift to agriculture may have allowed for human survival in northern climates, but the transition did not come without costs. The archaeological evidence suggests early farming communities were less healthy than their hunter-gathering counterparts. Skeletons unearthed in agricultural communities are smaller in size with more signs of malnutrition and disease. In our modern era, of course, we have benefitted from advancements in agriculture, medicine, and nutritional science. Our physical health and lifespans have greatly improved, and yet the socioeconomic system we live in has taken a toll on our mental health. Global finance capitalism has conquered the world and replaced cooperative values with competitive values. What are the effects of living in a stressful, hierarchal system that creates great economic inequality and social classes? People are less happy, less empathetic, less satisfied, more fearful, more addicted to substances, more violent, more materialistic, and more anxious about growing old. Tom Crockett is the author of ‘Stone Age Wisdom: The Healing Principles of Shamanism’. He draws from years of experience as a student of shamanism as well as a teacher of various shamanic traditions. I asked Tom to preview Tawai, and comment on his experience of the film. The organization Cultural Survival empowers and supports Indigenous Peoples to advocate for their rights — the right to practice their cultures and speak their languages, and the right to control and sustainably manage their assets and resources — so that they may determine for themselves the future they will lead. The organization’s advocacy for international indigenous communities is predicated on the United Nations Declaration on the Rights of Indigenous Peoples. There are approximately 370 million indigenous people in the world, belonging to 5,000 different groups and almost as many languages, and living in 90 countries worldwide. Indigenous people live in every region of the world, but about 70% of them live in Asia. Modern civil society defines nature as property – to be owned, commodified and destroyed at will for human profit. Most of the destruction of the Earth is sanctioned and made legal by law. To avert ecological collapse and the worst impacts of climate crisis, we must challenge the idea that Earth’s living systems are property. Our legal frameworks must recognize the Rights of Nature so that we can defend ecosystems from further industrial exploitation and degradation. All of nature exhibits vast intelligence, and right now the world needs all the intelligence that we can get. Indigenous peoples converse with nature and have a knowledge of plants and complex ecosystems that could greatly benefit western science. A meaningful dialogue between the two ways of knowing is imperative. LIFE IN THE DOGHOUSE Since 2005, Danny & Ron’s Rescue has saved and found homes for more than 10,000 abused, abandoned and starving dogs. When Danny and Ron rescue a dog it lives with them – not in a kennel, but in their home until their perfect family match is found. At any given time, there will be as many as 55 dogs living in their private home. Shows Wed, Sept 19 with speakers and discussion. THE CAKEMAKER Thomas, a young and talented baker from Germany, is having an affair with Oren, an Israeli married man who subsequently dies in a car crash. Thomas travels to Jerusalem seeking answers. Keeping his secret for himself, he starts working for Anat, his lover’s widow, who owns a small café. Although not fully kosher and despised by the religious, his delicious cakes turn the place into a city attraction. In German and Hebrew with subtitles. Shows Tuesday, Sept 25 with introduction. LOVE, CECIL Oscar-winning set and costume designer Cecil Beaton was also a major photographer, writer, and painter of his time. From the pages of Vogue and then onto the Queen’s official photographer, Beaton embodied the cultural and political changes of the twentieth century. In this tender portrait, director Lisa Vreeland (Diana Vreeland: The Eye Has To Travel) blends archival footage and photographs with voice over of Beaton’s famed diaries to capture his legacy as a complex and unique creative force. Shows Tuesday, Oct 2 with introduction. THE CAPTAIN Based on the arresting true story of the Executioner of Emsland, The Captain follows a German army deserter (Max Hubacher), after he finds an abandoned Nazi captain’s uniform in the final weeks of World War II. Emboldened by the authority the uniform grants him, he soon takes command of a camp holding German soldiers accused of desertion and begins to dispense harsh justice. Increasingly intoxicated by the unquestioned authority that he now owns, this enigmatic imposter soon discovers that many people will blindly follow the leader, whomever that happens to be. In German with subtitles. Shows Wed, Oct 3 with discussion. DECONSTRUCTING THE BEATLES: 1963 YEAH! YEAH! YEAH! Host and lecturer Scott Freiman explores their early music hits that they recorded in collaboration with producer George Martin that launched Beatlemania. Shows Tuesday, Oct 9. PICK OF THE LITTER Meet five spirited puppies who, from the moment they’re born, begin an incredible journey to become guide dogs for the blind. It’s a rigorous two-year process that will take the pups from the care of selfless foster volunteers to specialized trainers to, if they make the cut, a lifelong human companion. At every step of the way, the puppies will be tested, challenged, and evaluated. Only the best of the best will be chosen for the job of guide dog—who has what it takes? Shows Wed, Oct 10 with discussion. DAVID HOCKNEY AT THE ROYAL ACADEMY OF ARTS Widely considered Britain’s most popular artist, David Hockney is a global sensation with exhibitions in London, New York, Paris and beyond. Now entering his 9th decade and spending most of his later life in Los Angeles, Hockney shows absolutely no evidence of slowing down. Shows Tuesday, Oct 16 with introduction. TAWAI: A Voice from The Forest Tawai is the word the pre-agricultural hunter gatherers of Borneo use to describe their inner feeling of connection to all of nature. In this philosophical meditation on human culture on the edge of the precipice, British explorer and filmmaker Bruce Parry (BBC’s Tribe) travels from the jungles of Malaysia to the far-reaches of the Amazon to visit the last of the world’s indigenous tribal peoples. Ten years after first visiting the Penan of Borneo, he returns to document the ravages of deforestation, palm oil plantations, and oil exploration upon their way of life – and reconnect with their ancient wisdom. Shows Wed, Oct 17 with discussion. FirstLook Film Forum– Fall Season This subscription-based series starts Sunday morning, Oct 14 and includes seven film premieres with a pre-show brunch, introduction, and discussion. Visit narocinema.com for playdates and info.